How Does Liquid Nitrogen for Warts Work, and Can It Be Used at Home? As a wart remover, liquid nitrogen works by freezing the tissue of the wart, causing it to die and to fall off. It is extremely cold, and because of how it works, it is called cryotherapy. Some people may find it to be painful. It may take several treatments over a period of a few weeks to remove a wart, and it is used when other wart treatments haven’t worked. 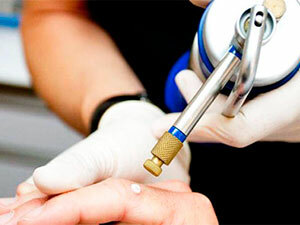 Liquid nitrogen for warts is applied by doctors in their offices, and the application takes less than a minute. Is liquid nitrogen treatment painful? What can I expect from cryotherapy? Liquid nitrogen is usually applied by doctors during short office visits. The doctor may first prepare the wart by trimming it with a pair of scissors or a small knife. He or she then will apply the liquid nitrogen to the wart’s surface. The total time involved with applying liquid nitrogen is normally less than a minute. In some cases, the doctor may use a numbing local anesthetic. An anesthetic is not always necessary, however. Most people are able to tolerate liquid nitrogen applications. Do you want to learn about salicylic acid for warts? Read this article for more information. At-home wart-freezing treatments are available. They are made out of a combination of propane and dimethyl ester instead of liquid nitrogen and are applied using foam applicators. The over-the-counter wart freeze-off treatments may require more applications and are not as effective as liquid nitrogen. The doctor may spray the liquid nitrogen on or apply it with a probe or cotton swab. The wart will then be covered with a bandage. It will gradually change colors and then fall off. It may take up to four treatments to get rid of very thick warts over a period of weeks. It is fairly common for people to develop a blood blister after freezing wart off. If you do, apply a plaster over the wart frozen off blister and cover it. When it pops, clean the area and try to avoid spreading the fluid to the surrounding skin so that the wart virus does not spread. Because it is very cold, liquid nitrogen treatment is painful. Most people are able to tolerate it and find it uncomfortable but not overwhelming. The pain from treating a wart with liquid nitrogen may last for about three days after the application. It is a mild pain that feels similar to a sunburn. The area that is treated may sting during the liquid nitrogen application. It may then burn. As it heals, many people report that the skin feels itchy where the liquid nitrogen was applied. It may also feel sore and appear red. Read this article to learn about using silver nitrate for warts. During cryotherapy, you can expect to feel a stinging sensation while the liquid nitrogen is being applied. Immediately afterward, your skin may burn and itch. The entire application process will likely take about 30 seconds. Your skin may turn red, and the area may swell. It may feel sore. By the next day, a blister will have formed under the skin, and the pain should lessen. After about a week, the treated area may be a dark brown or red. If you need to do so, you can apply an antibacterial ointment and keep it covered. The surface will begin to peel away after about two weeks. You should not use makeup on the area until it is healed. Liquid nitrogen for warts leaves little to no scarring and is a good cosmetic option for treating warts. While most people find the application of liquid nitrogen to be mildly uncomfortable, small children or people who have low pain tolerances may need a topical anesthetic to numb the skin. The primary side effects are soreness and swelling. Many people also form a wart blood blister over the surface of the wart. When the skin is frozen, a blister forms underneath the wart, leaving the abnormal tissue on the surface so that it can peel away. Liquid nitrogen has a temperature ranging from -346°F to -320°F. A blood blister that forms over the top is a secondary blister. It is harmless, so you should not be concerned by a blood blister. There is a potential for blood blisters to become infected. If this happens, the blister will feel tender to the touch, and the fluid inside of it may look milky. The redness around an infected blood blister may become more pronounced. If this happens, you will want to see your doctor for possible antibiotic treatment. Finally, some people who have treated their warts with liquid nitrogen may have a pale skin discoloration that remains behind. Do you want to learn about using colloidal silver for warts? Read this article to learn more. The goal of using liquid nitrogen wart removal is to cause a blister to form under the wart, which lifts the abnormal skin away. Blisters may cause discomfort. After treatment, you can protect the blistered area by using a bandage. Bandages may especially be helpful when the treated wart is located on the feet or hands. 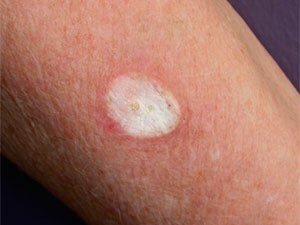 If the blistered area becomes crusted, you can apply a topical antibiotic ointment or vaseline to it. You will want to keep the treated wart clean and dry. Wash it with a mild soap and cool water, and pat it dry after you rinse the soap away. Make sure to avoid using retin-A creams, glycolic acids or retinoids on the wart for about 10 days. Talk to your doctor about whether you can swim or bathe. 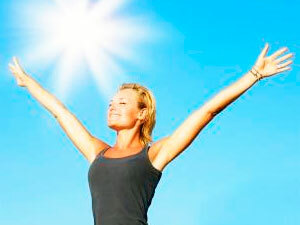 In most cases, it will be fine for you to go about your everyday activities. You should not use a hot tub or swim for about a week after liquid nitrogen treatment. You may want to keep your treated wart covered with a bandage while it heals. The wart will swell and form a blister within about 24 hours, but the blister may not be immediately visible if it is under the wart and a blood blister over its surface does not form. You should expect a scab to form in about a week and for the wart to fall off after about two to four weeks. If your wart is a very thick one, you may need to repeat the applications of liquid nitrogen up to four times with treatments spaced from between one to three weeks apart. Liquid nitrogen is a good treatment for warts that have resisted other types of treatment, such as topical salicylic acid creams. While it may cause minor discomfort, most people are able to tolerate it. If you are using it to treat thicker warts, you may need to complete up to four treatments using liquid nitrogen that are spaced about one to three weeks apart. Freezing off warts with liquid nitrogen leaves little or no scarring and is a good cosmetic option for areas with exposed skin. When you treat your warts with liquid nitrogen, you can soon enjoy the healthy, beautiful skin that you want again without worrying about warts.